Buy your new 2017 Jaguar F-Type at Jaguar Colorado Springs! This sporty coupe is perfect for a road trip or a stylish around town drive. It comes in both a coupe and a convertible, so you choose! 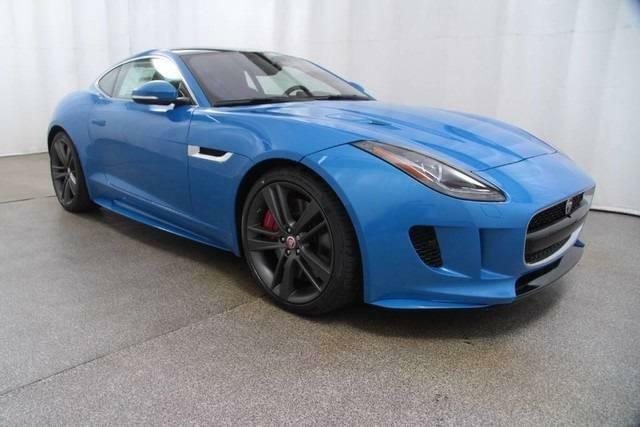 The Jaguar F-Type comes in 7 different trim levels ranging from the F-Type Coupe (MSRP $61,400) to the F- Type S AWD (MSRP $86,600) and finally to the F-Type British Design Edition Coupe (MSRP $92,100). 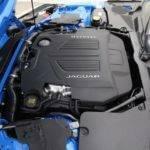 Each of these trim levels can come with one of four different engines which includes the 3.0L 340-hp V6, 3.0L 380-hp V6, 5.0L 550-hp V8, and the 5.0L 575-hp V8. Paired with these powerful engines you will choose from either a 6-speed manual transmission or a QuickShift automatic transmission. If you love lots of features on your vehicle, you won’t be disappointed with the variety of features you can get with any of the 2017 Jaguar F-Type trim levels! These features include deployable rear spoiler, panoramic glass roof, deployable door handles, adaptive front lighting, gear selector panels, wind deflector, dynamic stability control, park assist, blind spot monitor, and many more. Stop into Jaguar Colorado Springs today to take a test drive or to check out our inventory of the new 2017 Jaguar F-Type!